Imagine this: You’re hungry for a late-night snack after a long and stressful day at work. Your rational self knows the apple on your counter is a great snack choice, but instead, a decadent slice of chocolate cake and an indulgent glass of wine (or three) are practically calling your name. You cast an apologetic glance towards the apple, and before long only crumbs and an empty bottle remain. If you’ve been in a similar situation, welcome to the club! See, what we know we should eat, and what we actually choose to consume, are not always the same thing. It happens to the best of us, and it is this disconnect between knowledge and behavior that tends to be the biggest factor sabotaging our healthy eating intentions. For most us, this issue is an annoying nuisance, at best. We want a simple solution to this very annoying problem, but have you ever wondered what factors truly underlie this disconnect? 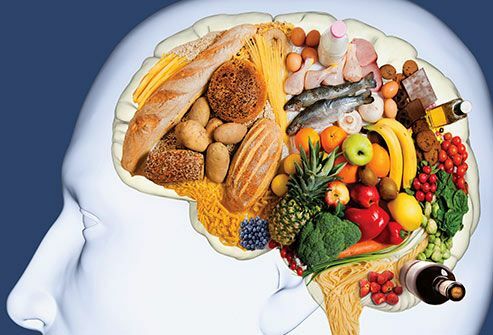 Aren’t you compelled to examine how certain foods, through their effects on metabolism, influence brain pathways that orchestrate cognitive, neuroendocrine, and behavioral responses to stress? Maybe these questions don’t keep you awake at night as they do me, but let’s agree that these factors are part of what make multifaceted drivers of human eating behavior beautifully messy and complex, and altogether fascinating. Allow me to introduce myself: I’m Sarah, a Registered Dietitian and Nutritional Biology Ph.D. student working in a Stress Biology and Nutrition Research laboratory at the University of California Davis. I chose the science life (or perhaps the science life chose me) when I was halfway through (or about 750 out of 1500+ hours) my dietetic internship in New York City. As a Registered Dietitian-in-training, I interacted with everyone from inner-city urban hospitalized patients, to Partners at a high-profile law firm, to disadvantaged youth unfamiliar with common fruits and vegetables, to impressively fit athletes at a ritzy fitness club. A common thread connected these individuals from all walks of life, of different ethnic backgrounds, and starkly different life stories: Lack of nutrition knowledge was (occasionally) but very rarely the paramount problem sabotaging healthy eating success; Rather, it was a glaring disconnect between knowledge about healthy foods, and actual eating behavior! This realization stopped me cold, when I realized a strictly clinical career was not enough. 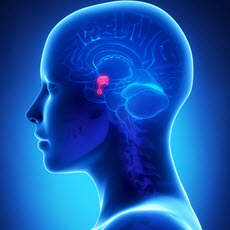 To truly change lives, I need to dive deeper and explore this perplexing disconnect from a neuroendocrine perspective. As a dual practitioner and scientist, I have my finger on the pulse of what woes real people every day, and I disperse cutting edge, evidence-based recommendations coming straight from some of the best researchers in the field. Constantly switching hats as a dual detective (Ph.D. student) and practitioner (Registered Dietitian, science communication liaison, and storyteller), enables me to keep my research intentions relevant and timely, and ultimately disperse such research to those who benefit from it the most. ‘Work’ and ‘play’ in this dynamic environment have become interchangeable terms these days, and this is how I know I’m exactly where I’m meant to be. You see, work is fulfilling because I’ve identified my mission: It’s my duty and passion to translate the best nutrition science into content that helps us be the best versions of ourselves. Over the next six months, I’ll devote my posts to sharing the tactics I’m employing to build a dynamic career in the sciences. My mission will not change, but the tactics are more fluid and will undoubtedly morph often, under one condition: They MUST reflect my identified mission. With this in mind, I’ll ride with the tide and enjoy pursuing a career as a dual detective and storyteller. Welcome to my journey where I’m on a mission to help real people eat well, well informed.